FOR many years, Jabulani has sold scrap metal, washed cars with friends, fixed wheelbarrows and painted walls but all that time, he dreamt of owning a Mercedes-Benz. 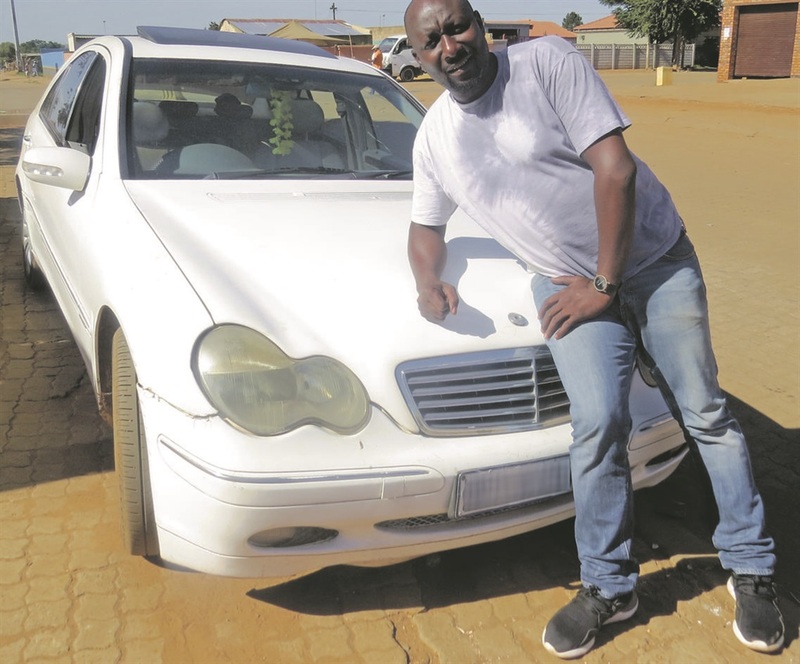 Jabulani Ndlovu (39) from Bekkersdal, west of Joburg, now owns a white Mercedes-Benz C2 100 Kompressor he always wanted. He said it is his reward for all his many years of hard work. Q: When did you buy it? Q: Is it the first car you’ve owned? A: No, I previously owned a Renault Megane and a Ford Bantam bakkie, among others. Q: Why do you love your Benz? A: It feels so special and comfortable when I drive it. It’s as if I am at a hotel drinking the juice of a tropical fruit. It also has fantastic fuel consumption. Q: What features are your favourite? A: All the features inside and out – the whole vehicle is my favourite. Q: Why did you choose this colour? A: It contrasts nicely with my black complexion which is great because I am, after all, a proud Orlando Pirates fan too. A: My Benz has two names that change depending on how I speak about it. I call it My Baby How Long because I can’t believe I am driving it. I also call it Gogo because of how long it took me to save up and buy it. A: Yes, I have changed the radio and added extra safety measures to prevent theft. The only change I still want to make is to put on some new mag wheels. A: I have driven to Welkom and other places in the Free State, Limpopo and also to Durban with my lovely fiancee, Mary Letlhake. Q: How many fines do you have? A: Only one. It was for not wearing my safety belt. It never happened again. Q: What do think about Mzansi’s other road users? A: Many disrespect me but I spot them. Some drivers don’t even stop at stop signs and red lights so I have to be careful. I have learnt to read “between their eyes”. I would never have bought this car if I could not. Q: What do you think all other motorists need to know? A: Please wear your seat belts and respect all road users, as well as pedestrians.